Spring is turning to summer, brown is returning to green, and the world is glorious again. This was the case last Sunday night, as a warm breeze softly caressed the seemingly endless fields along our high hilltop home. My parents were away in Dallas attending my older brother’s college graduation, and Mary and I were left to ourselves for a weekend. This got old quite fast, and so we eagerly agreed to babysitting our nieces and nephew. Someone came up with the idea to play Indians, which seemed like the perfect game for three wild children to play. First, the proper wardrobe and makeup were needed. 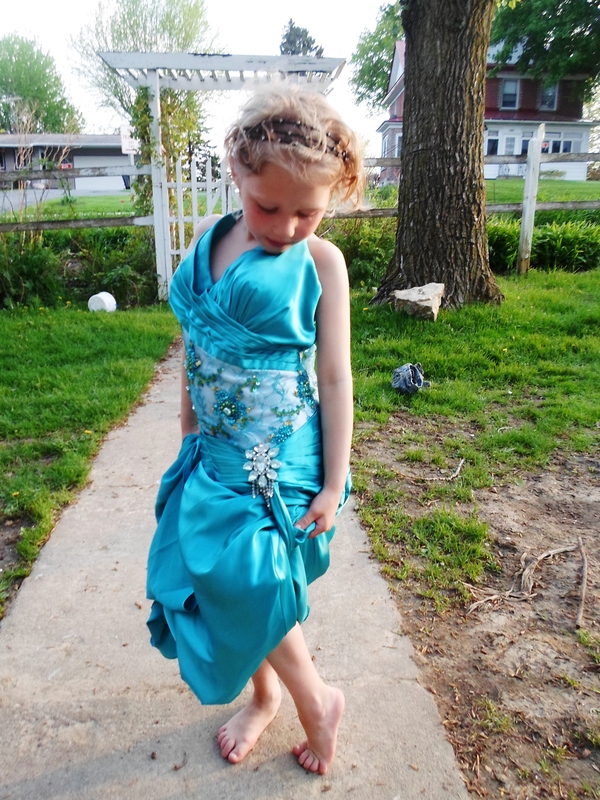 Adeline chose her dress carefully. It may not have fit very well with the Indian theme, but it definitely worked with the Adeline theme..which is DRAMATIC. 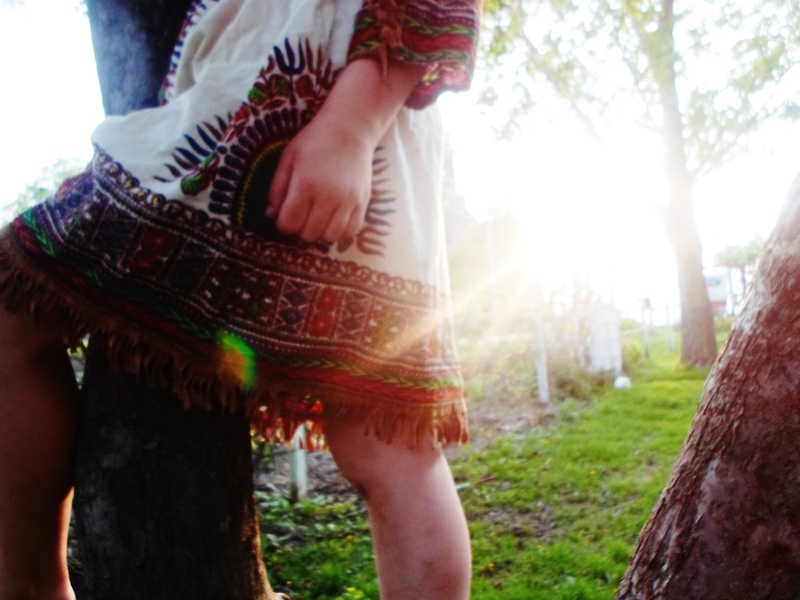 Claire fit perfectly into the Indian dress Mary was as a girl, handmade by our “crafty” mother. 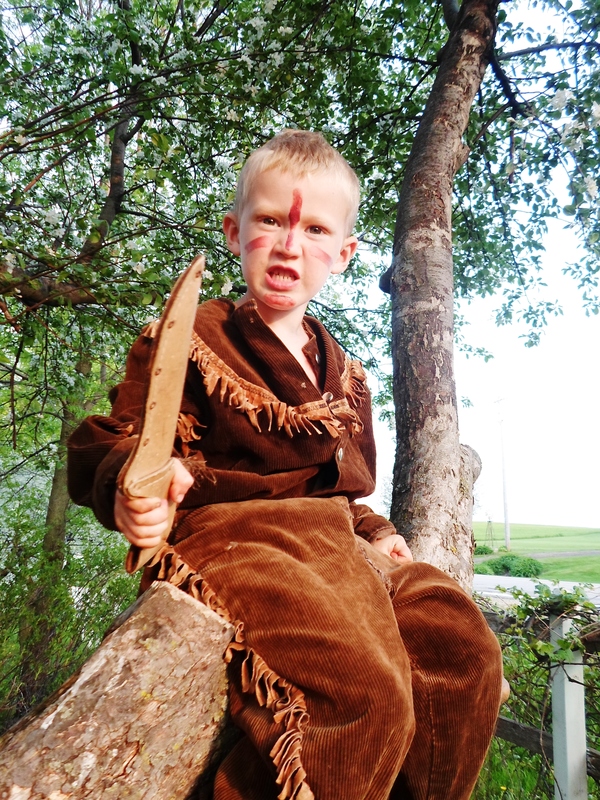 We couldn’t resist putting Thaddeus in Robert’s old Indian boy outfit. 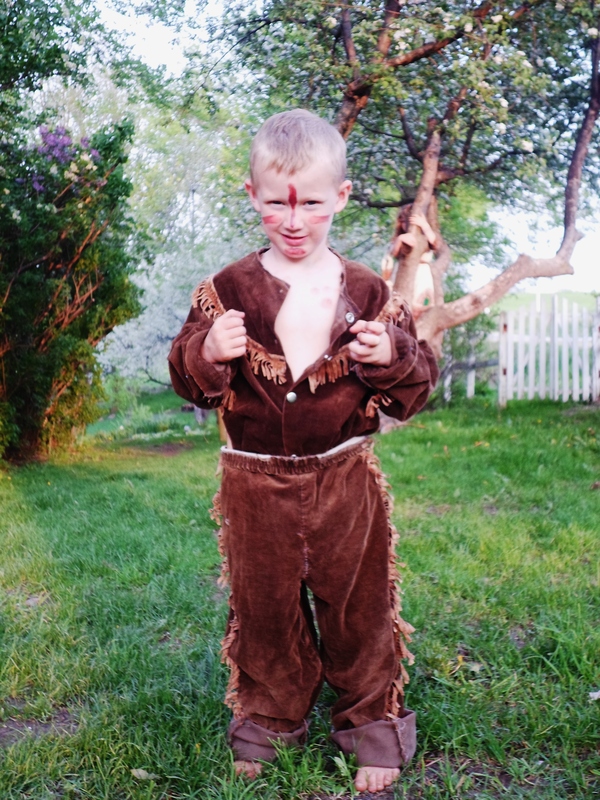 And of course, Indian war paint was completely necessary. While Thaddeus went with the tough guy attitude, Claire stayed in a more melancholic mood. 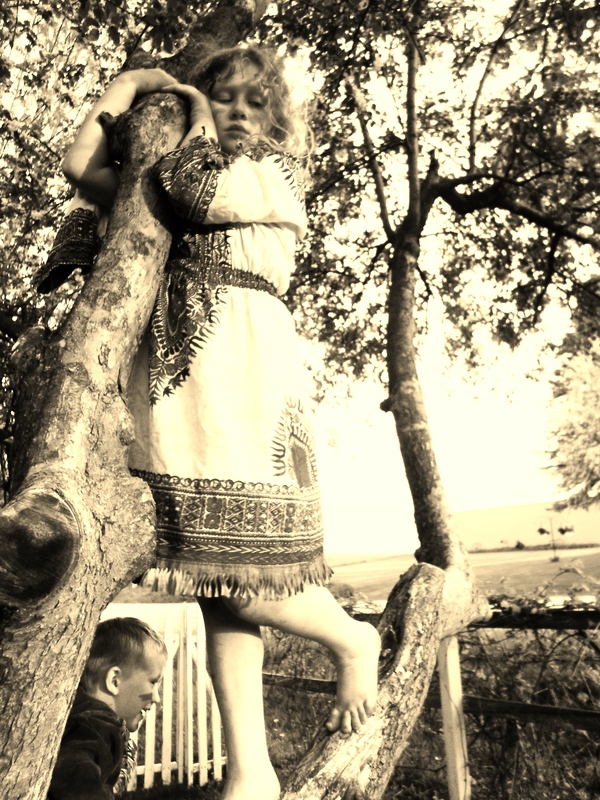 I can’t wait for summer and more Indian nights. 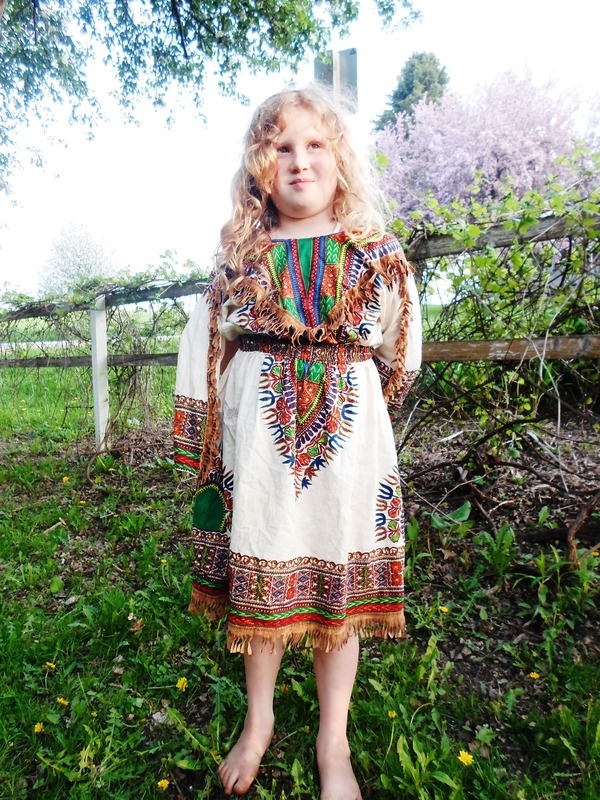 This entry was posted in Clare and tagged dress up, Indians, kids, Spring, summer, Sunday on May 28, 2013 by sweetridgesisters.